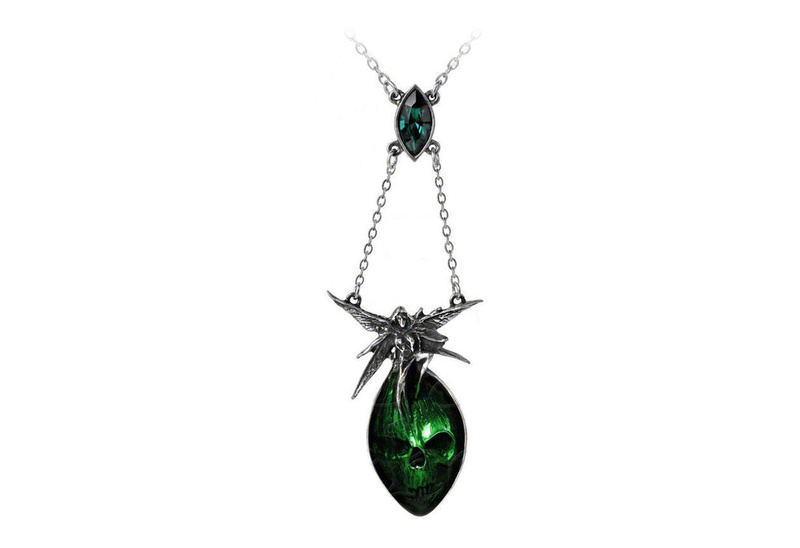 The spirit of wormwood rises from the absinthe green enameled visage of mortality; with Green Swarovski crystal. 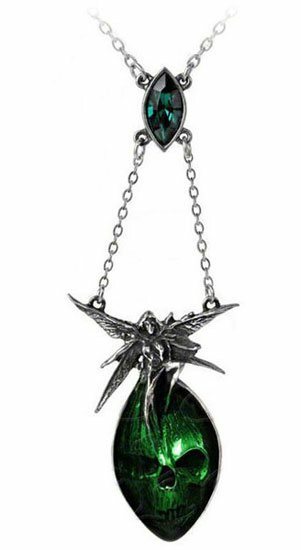 Absinthe Fairy: Also known as La Fee Verte; the spirit of the wormwood plant, from which the alcoholic beverage itself is made. Often presented herself to impressionist writers and artists under the influence of Absinthe, which they believed had been infused with her magic.